We’ve written frequently about Plug and Play over the past year. Back in March, the world’s largest startup accelerator Plug and Play accepted 111 Startups into six of its accelerator programs. Yesterday, Plug and Play Cleveland, the global innovation platform matching health tech startups and corporate partners to disrupt the healthcare system and improve patient outcomes, announced the results of Batch 2 Selection Day. Held at both Cleveland Clinic and University Hospitals, the two-day event brought together over 300 clinical champions to hear pitches from 20 exclusive startup companies in and around the health tech field. Founded in 2006, Plug and Play is a global innovation platform. Headquartered in Silicon Valley, they have built accelerator programs, corporate innovation services, and an in-house VC to make technological advancement progress faster than ever before. Since inception in 2006, their programs have expanded worldwide to include a presence in over 20 locations globally giving startups the necessary resources to succeed in Silicon Valley and beyond. With over 6,000 startups and 220 official corporate partners, they have created the ultimate startup ecosystem in many industries. They provide active investments with 200 leading Silicon Valley VCs, and host more than 700 networking events per year. Companies in their community have raised over $7 billion in funding, with successful portfolio exits including Danger, Dropbox, Lending Club, and PayPal. 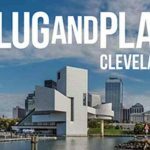 Selection Day is part of Plug and Play Cleveland’s 12-week Innovation Platform that occurs twice a year to identify a cohort of startups to be granted inside access to Cleveland’s preeminent institutions. In partnership with Cleveland Clinic, University Hospitals and JumpStart Inc., Plug and Play Cleveland provides opportunities for startups to collaborate alongside business leaders and clinical champions. 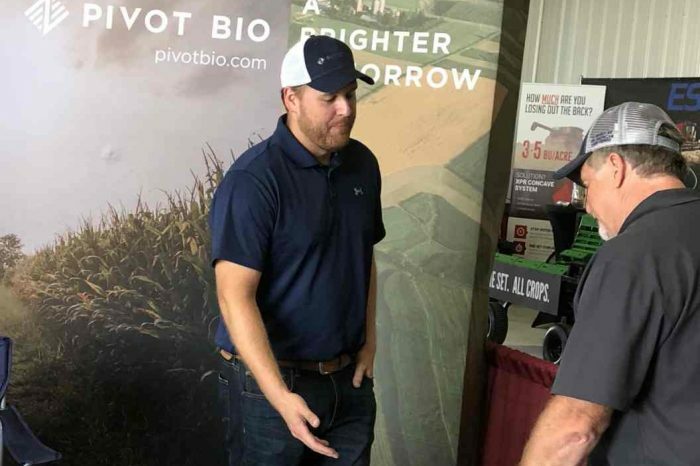 Many of these startups then leverage these connections to establish more formal agreements, including pilots, proofs of concept studies, and joint ventures to advance their business objectives. Plug and Play Cleveland may provide funding to companies that best align with their corporate partners’ needs. “Cleveland Clinic is a pioneer in health care and always looking to improve care for our patients. 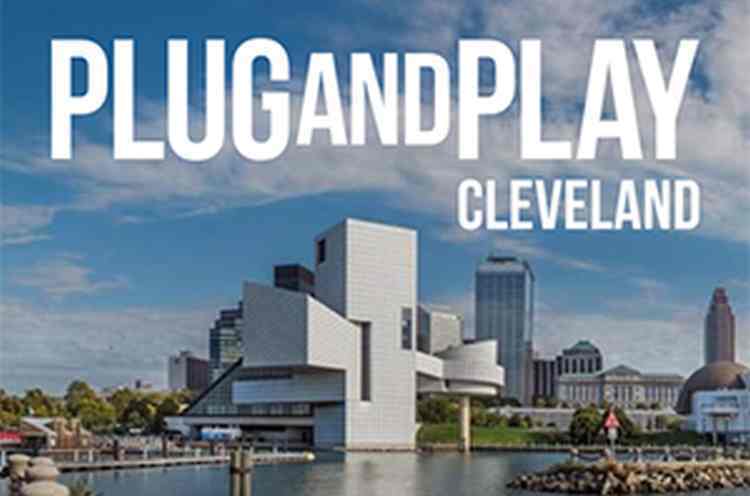 Through our relationship with Plug and Play Cleveland, we are able to find companies with unique expertise to help us utilize innovative ways to enhance patient care,” said Sarah Stamp, General Manager, Operations and Administration at Cleveland Clinic Innovations. Ryalto: Ryalto’s mission is to build a global community of healthcare workers who feel energized and in control of their working lives. NurseGrid: NurseGrid Mobile aims to make it easy for nurses and healthcare workers to manage their complex schedules, connect with colleagues, and bring more balance to their work lives. Scoutible: Scoutible is a next-generation AI for hiring, using immersive video games to identify perfect-fit candidates for jobs. Scoutible’s technology identifies a player’s unique cognitive and personality traits from their gameplay, and connects them with open jobs. Elemeno Health: Elemeno Health is a “personal coach” for frontline healthcare staff, delivering best practices to the point of care across any device, bringing consistency to care, reducing errors and improving outcomes. Yosi: Yosi saves $42k per physician per year on average by reducing: phone calls by 70%, reducing no-shows by 45%, reducing claims denied by 3% and making facilities paperless. Friend Health: FRND Health is an on-demand network of mobile registered nurses that make house calls on behalf of care management teams. Ejenta: Ejenta is building an intelligent personal assistant platform that uses A.I. to understand users’ daily activities, to monitor adherence to mission plans, and to offer personalized advice, coaching and support. MiddleGate: MiddleGate helps medical providers win the battle to be paid in full for their work. With Grace™, MiddleGate has applied deep learning A.I. techniques and built a machine intelligence focused on preventing and collecting lost, underpaid or denied medical claims. GenomeMedical: Genome Medical is a digital health company with a network of clinical genetics experts integrating genomics into everyday health care. Genome Medical enables patients and physicians to navigate the rapidly evolving field of genomics to improve health, diagnose and prevent disease, and lower the cost of care. Augment Therapy: Augment Therapy is changing the treatment paradigm of pediatric physical therapy by creating a remote patient monitoring software that allows for anywhere, anytime therapy. It layers interactive digital content over the child’s own image and environment to engage the child to exercise, while critical pediatric data points are stored and forwarded to their corresponding therapist. Sana: Sana is the only natural non-invasive solution available to help those with severe pain problems. Sana measures and tracks a patient’s overall state of health and vitality over time and uses this measure to tailor the device to get the patient into deep relaxation in order to reduce pain levels fast. Lumos: Using proprietary light technology developed at Stanford University, Lumos stimulates the neurological pathways that regulate the body clock and allow users to program your own sleep schedule. “As we welcome our next batch of startups into Cleveland, we’re excited to plug them into Cleveland’s ecosystem. The level of engagement and collaborative spirit among our partners is unprecedented and an indicator of the growing momentum across Cleveland’s entrepreneurial ecosystem,” said Chantel Moody, Director, Corporate Partnerships, Plug and Play Cleveland.